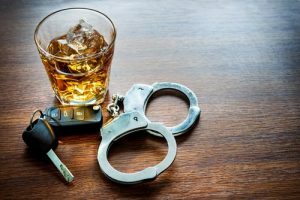 Northampton DWI Defense Attorney | Law Offices of Tom Kokonowski, Esq. Arrested for a DWI? Contact a Northampton Defense Attorney Today. Being arrested for a DWI/OUI/DUI in Massachusetts is a frightening experience. However, not everyone who is arrested for drinking and driving is actually guilty. There are a great number of factors that can play a part in whether or not a person passes a breathalyzer test or field sobriety tests, including medical conditions, medications, the failure of law enforcement officials to properly maintain and calibrate their equipment, and the failure of law enforcement officials to properly administer the tests. If you’ve been charged with a DWI, it’s important that you get legal help as soon as possible. Need a Lawyer for Help With a DUI Causing Injury Case in Northampton? A DUI causing injury charge is much more serious than an OUI/DUI/DWI charge by itself. If you were involved in an accident that caused the injury or death of another person and you were charged with being under the influence of alcohol at the time, you stand to incur very stiff and life changing penalties. Learn more about how to get a lawyer for help with a DWI case causing injury in Northampton. In a Massachusetts OUI case, you will have the opportunity to request a DMV hearing regarding license suspension. This is completely separate from the criminal charges associated with the case. If you fail to request a DMV hearing quickly and you miss the window for doing so, you forfeit your right to the hearing. It’s important to reach out to an attorney who can help ensure you are able to request and attend this hearing and who will advocate for you during the hearing itself.